Challenging times, changing attitudes, and an influx of Western influence have given rise to a new era of communications in the Asia-Pacific region. 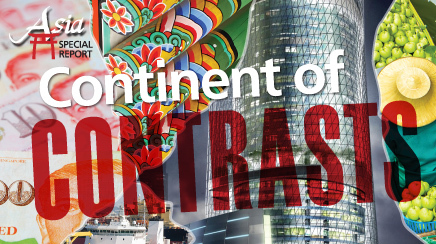 PRWeek highlights the continent's hotspots in a special report. Asia-Pacific has been a business hotspot for the last few years. As multinationals continue to grow and e-commerce keeps expanding, PR agencies are faced with new opportunities, as well as new challenges, in the region. While countries in Asia all differ in political and cultural values, Weber Shandwick Asia-Pacific chairman Tim Sutton says in almost every market, the number of brand-savvy and brand-conscious consumers is growing significantly. “General consumer awareness is new here and has been growing very strongly, so brand marketing, where companies are taking brands to consumers, has changed,” he explains. One of the biggest drivers of this transformation is the use of digital and social media in public relations, Sutton observes. Michelle Tham, MD of DeVries Asia, agrees with Sutton, saying the explosion of social media in the region and the speed at which technology is being adopted is altering the overall media landscape. “There is no one-size-fits-all, but certain patterns are beginning to emerge, such as how many emerging Asian markets have skipped the traditional phone and gone straight to the mobile era,” she notes. Tourism is a big driver in Asia, notes Bob Pickard, former president and CEO of Burson Marsteller Asia-Pacific. Pickard left his post at the agency – which represents the Singapore Tourism Board – last month. He also observes that investment in healthcare in North Asia is radically expanding due to the large number of people aging in the region, in countries such as such as Japan, Korea, and China, as well as the high percentage of deaths due to cardiovascular disease. In May, Ogilvy Asia-Pacific helped Nestlé launch an integrated social media campaign for its new banana-shaped ice cream product, BenNaNa, in China. Within three months, it became the company's number one ice cream brand in sales volume. Part of the strategy for the campaign was to highlight the products “peel-able” nature and target trend-savvy “kidults,” 18- to 31-year-olds, who were encouraged to post photos, videos, and designs on Sina Weibo, a Chinese microblogging site that brings together Twitter and Facebook-like elements. Marion McDonald, MD of strategy, planning, and measurement for Ogilvy Asia-Pacific, says social efforts allow companies to “build brand messaging and hold out on a price war” among competitors. By August, BenNaNa garnered more than 4.6 million Weibo tweets and was the top trending topic for two weeks. The agency encouraged consumers to send in photos of them peeling or eating the product by offering a banana-shaped pillow, which resulted in 86% of original tweets being posted with a photo. The firm also created a BenNaNa microsite, which included original content, photos, and stories. Three BenNaNa prank videos received more than 150,000 views in three months and inspired consumers to submit their own BenNaNa pranks. By the end of the summer, the banana-shaped treat overtook Nestlé's 8 Cube ice cream brand, the previous top ice cream in the region, which took more than eight years to establish that ranking. According to the World Health Organization, the mortality rate in China from heart disease was more than 40% and rising in 2010 due to high levels of obesity, smoking, diabetes, blood pressure, and cholesterol. With more emphasis on health, firms are approaching PR agencies for the first time to support new medical treatments and address healthcare challenges. Many businesses are thinking about going overseas or entering new regions, he says, and that gives agencies the chance to explain how PR can raise brand awareness among consumers, investors, and media. However, as Pickard explains, sometimes introducing the concept of PR isn't as easy as it would seem because it's often mistaken for advertising, adver-torials, or simply just event work. Ogilvy Public Relations is working with multinational corporations as they enter Myanmar, otherwise known as Burma, which until earlier this year was a region where US companies could not do business because of import bans. The PR firm began doing work in the country at the beginning of September, says Steve Dahllof, president and CEO of Ogilvy Asia-Pacific. Consumers in Asia-Pacific are demanding more authenticity and transparency from businesses, observes Marion McDonald, MD of strategy, planning, and measurement for Ogilvy Asia-Pacific. Historically, McDonald says, companies have been reluctant to talk to the media or share corporate information out of respect for their leaders and authority, but in the last five to 10 years, social media has forced businesses to open up a dialogue with the public. “It's been exciting to be part of this change,” she explains, “and we've teamed up with a lot of clients to help them create a more authentic brand, tell their stories more authentically, focus on being more accessible to media, and explain what they're doing in the market.” Companies, particularly in China and Japan, are even opening up and addressing negative feedback from consumers, which was a big cultural shift for business leaders, she adds. UPS, one of Ogilvy's clients in China for about 10 years and for the entire Asian region for six years, wanted to focus on a strategy earlier this year to “raise the company's reputation as a technology-based service provider,” says Peter Tan, director of marketing for brand communications and sponsorships, UPS Asia-Pacific. To achieve this objective, the company worked with Ogilvy on launching a two-day UPS Asia Technology Summit in February with the theme Technology Powers Logistics, which attracted more than 120 attendees from UPS, media, and key consumers in the region. Discussions and presentations at the event emphasized how technology helps drive business in Asia, Tan explains. “UPS was able to effectively narrate its role as a business enabler and was able to shed light on many perceptions and misperceptions of logistics,” he says. Shanghai Tower tapped Weber Shandwick to manage its PR and engage with the media. At a World Economic Forum session this summer in Shanghai, WPP CEO Martin Sorrell said he could see commerce thriving in China's largest cities. Over the past two decades more than a quarter of a billion people in China have migrated to cities, leaving rural areas for the promise of higher incomes and improved quality of life. Research firm McKinsey forecasts average disposable income of urban households in China will swell to $8,000 in 2020 – double the amount in 2010. Luxury goods marketers also have an opportunity. Just 6% of urban households are considered well off with $16,000 to $34,000 in annual disposable income, but given China's enormous population, that's still nearly 14 million households. Tier one cities – Shanghai, Beijing, and Guangzhou, which are classified in part because of massive populations [about 23 million, 20 million, and 16 million, respectively] – are the most mature markets for foreign firms. To help service those companies, multi-national PR agencies typically have wholly owned operations in all three cities. Others have just launched in the metropolises, including DeVries Public Relations with its new division DeVries Global, which incorporates other IPG agencies “to take advantage of the 20% annual growth the PR industry has been experiencing,” says David Liu, DeVries China chairman. In anticipation of the growth in tier two and tier three cities such as Wuxi and Taiyuan, multinationals have staffed up their expertise, often forming affiliate partnerships. Still, both emerging and more sophisticated markets share a commonality: their consumers are less price sensitive and increasingly swayed by brand reputation, asserts Jonathan Hughes, president, GolinHarris International. Agency executives in China say that service offerings reflect a recent shift in how the Chinese get some of their news and form opinions about companies and brands. While large media outlets are still state controlled – including the largest daily newspaper Reference News and TV broadcaster China Central Television – social media has given rise to the consumer voice. Weibo, which means “micro-blog,” reportedly has more than 320 million users. While Facebook and Twitter are banned in China, Weibo, created by a Chinese company called Sina, remains operational, in part because of its in-house censors. Still, even censors couldn't keep up with a flood of critical comments of how the Chinese government responded to a deadly collision between two high-speed trains last summer. Weibo had the first report of the crash – an example of mainstream media chasing social media. Agencies are helping brands such as Nike manage social media effectively. Brands such as Burberry, Nike, and Pizza Hut all have Weibo accounts and PR agencies are helping them curate and manage content, as well as put crisis management plans in place. “Companies realize just how vulnerable their reputations actually can be in China,” says Fitzgerald. Every five years, China produces a plan for social and economic growth. In 2011, the country produced its 12th version of a Five Year Plan for National Economic and Social Development. In the plan, the Chinese government called for healthcare reform. Cohn & Wolfe-impactasia leveraged that government priority in a recent campaign for pharmaceutical company Merck Sharp & Dohme. The agency staged 60 local events in which mothers and their daughters were invited to get tested in community parks and supermarkets for osteoporosis, a chronic disease for which the pharmaceutical firm has a treatment. Lydia Shen, MD, Cohn & Wolfe-impactasia, says that by positioning the program in a way that helps with China's chronic disease problem, it generated 1.2 million tests and 300 media placements. Burson's Deri says foreign multinationals should also align their CSR efforts in China with government priorities. “Foreign investment in general from outside China is not assessed by sheer qualitative metrics,” he explains. Chinese companies are also making huge PR investments for the first time – in part due to the influx of foreign brands that has heightened competition, says Darren Burns, MD in China for Weber Shandwick. Weber's Chinese clients include small home appliance maker Airmate, solar panel maker Suntech, and Shanghai Tower, soon to be the largest building in Asia. Over the past year Weber Shandwick has doubled the number of Chinese clients it has, not only for in-China outreach, but also in helping them evaluate growth and create awareness abroad. Until 1997, the island of Hong Kong was under British authority before China re-established ownership, ending 156 years of foreign governance. After a period of vast autonomy from the mainland, Hong Kong has increased dependence on China significantly in recent years. As a result, “mainland China dominates the agenda of all PR and marketing professionals in Hong Kong,” says Rachel Catanach, GM of Fleishman-Hillard's Hong Kong office. Increasingly, the territory is becoming the home of Chinese brands with global ambitions to expand into Western markets. On the flip side, the territory is still a gateway for Western brands with an eye on China. Growth sectors include consumer goods, in particular luxury, financial, and professional services, and technology. Abercrombie & Fitch proved to be a hit with Hong Kong consumers. Abercrombie & Fitch, The International Colored Gemstone Association, and Sotheby's are some Western organizations that have either shifted headquarters or beefed up their presence in the region in 2012. The main draw to the area is the buying power that comes from the regular influx of mainland Chinese tourists, notes Laura Derry Southwood, MD of boutique agency Prime. “In Hong Kong and China people wear their wealth, so the appetite for the hottest label continues to rise,” she says. The tax-zero policy for wine products since 2007 has also created a boom in the food and beverages sector. A lot of PR work in the region has been providing organizational and cultural advice, says Jenny Chan, GM of The Hoffman Agency's Hong Kong office. Challenges include “delivering compelling stories through earned [and] owned media and engaging with stakeholders effectively across the world,” she adds. Hong Kong differs from many other markets in that it has one of the highest newspaper readerships in Asia. The World Association of Newspapers and News Publishers ranks Hong Kong in its top 10 regions of highest readership of newspapers per capita in 2012. However, the popularity of the Web has encouraged traditional print media outlets to create their own online channels and video streams. The Hong Kong government has also started to introduce online videos on its websites and distribute them in video-sharing sites. Facebook accounted for a 43.7% share of visits in December 2011 and the term Facebook ranked top among all search terms in all categories in Hong Kong. “The growth of online media and subsequent change in the media landscape is an ongoing challenge and opportunity,” says Sally de Souza, group public relations and communications manager, corporate Asia, for the Mandarin Oriental Hotel Group. The South Korean government said in September it will increase the budget that provides support and incentives for foreign businesses by 36% to $268.1 million in 2013. Foreign investment in South Korea was up 35% between January and August 2012, compared with the same time last year. Such developments mean the ground is ripe for PR professionals in the country. Despite continued tensions with North Korea and the fallout from the global economic crisis of 2008, South Korea's economy remains the fourth largest in Asia. South Korea, the fourth-largest economy in Asia, has attracted multinationals such as Microsoft. Many multinational companies, such as Microsoft and Hewlett-Packard, have opened offices. Concurrently, more Korean conglomerates are expanding globally, with many investing in PR services, says Margaret Key, Korea market leader for Burson-Marsteller. The practice of delegating communications activities to in-house teams is partly due to a fear of sharing confidential company information, says Grace Kim, MD of Brodeur Asia-Pacific. But as that gradually changes and more companies grow comfortable with using agencies, South Korea has evolved into one of the most advanced PR markets in Asia, agency executives tell PRWeek. The spread of social and digital media in the country is one area that has opened up opportunities for the PR industry. With it, demand has increased for social monitoring and analytics services. Amorepacific's Make Up Your Life campaign expanded into China due to its overwhelming success in South Korea. “Online communications is one of the biggest challenges in Korea, since it is very hard to control,” says Hyojung Kim, manager of communication strategy at South Korean-based cosmetics company Amorepacific. Facebook is the most popular social network platform in South Korea, but Koreans are not as active on Twitter. KakaoTalk, me2day, and Cyworld are also widely used. Younger generations of Koreans are more exposed to online media, Shout Communications' Kim says, but traditional media is still dominant in the country. For that reason, media relations remains the “bread and butter” of the PR industry in South Korea, says Key. Other PR services in demand include media training, crisis and issues management, litigation communications, investor relations, and mergers and acquisitions support. CSR is also a growing area for Korean and international firms. Global companies must find ways to resonate with local audiences, Key and others say. For example, Amorepacific's ongoing Make Up Your Life campaign offers beauty advice to female cancer patients to help them raise their confidence and overcome their sense of loss. Since its launch, the campaign has gained coverage in national media outlets as well as expanding to China. It also boosted the company's internal communications and recruitment efforts, says Amorepacific's Kim. South Korea held its parliamentary elections in April and the presidential election is in December, so public affairs is also a sought-after service. More governments and NGOs have turned to PR agencies for assistance during the election year. But chall-enges remain in helping political and government organizations comprehend the value of communications. Political lobbying is illegal in South Korea except among law firms, so many groups rely on legal advisers for communications assistance. “Some campaigns are now asking to work together on messaging be-cause they are recognizing the import-ance of doing so beyond a law firm,” adds Brodeur's Kim. Singapore, a Southeast Asian city-state off the south-ern tip of the Malay Peninsula, is navigating a sea change when it comes to the role public relations plays in outreach strategies in the area. The shift began during the global financial meltdown that started in 2008, in which multimillion-dollar advertising budgets seemingly vanished overnight. Things likely won't go back to the way they were before the crash, as the stakes are much higher these days, he notes. Singapore is an environment where a quick big-budget advertising campaign isn't having the desired effect. It's now a place where you have to play for keeps, meaning longer-range outreach efforts are the norm to build a lasting relationship with consumers. From a financial perspective, such a durable effort is much more reasonable with PR, explains Thomas. PR agencies are aiming to build long and lasting relationships with citizens in Singapore. Doing PR in Singapore is also a unique experience be-cause the area acts as a regional hub for many companies as they attempt to reach audiences in emerging markets including Indonesia, Thailand, and Vietnam. A lot of outreach work targets foreigners as the domestic market consists of less than 6 million people, says Bob Grove, MD of Southeast Asia for Edelman. This requires a two-stream model where the focus for a client is split into two areas, one toward domestic outreach and another toward neighboring communities. Singapore's market also has the highest per capita income in the world. It has a highly educated populace. As such, labor-intensive manufacturing industries are a smaller portion of the economy, says Margaret Cunico, MD of Weber Shandwick's Singapore office. As with the rest of the world, companies want to engage with customers through social media, but again, unique to a place such as Singapore, there are complications in complying with this request. “There are very real challenges. Campaigns require multiple language translations,” says Cunico. Malay, Chinese, and English are all spoken in the region. Another challenge with the increasing utilization of social media is that consumers expect regular updates from companies and organizations, according to Stephen Forshaw, MD of corporate affairs for Temasek, the Singapore government-owned investment corp- oration and a client of Weber. Despite the rise of social media, traditional media outlets are still more trusted in Singapore than social sites, says Edelman's 2012 Trust Barometer, at a rate of 38% versus 15%. “Our social media engagement strategy connects us directly with consumers while traditional media provides a platform for us to be part of national conversations around issues close to the hearts of Singaporeans,” says Joanna Ong-Ash, head of marketing and communications at AIA Singapore, a life insurance company. One growth industry has been healthcare as home-grown Asian brands look to lift their game and reach out to consumers in the region. The Singapore government is doing what it can to nurture this sector by committing $2.87 billion (US) into the life and biosciences industry between 2011 and 2015. From a client perspective, it can sometimes be a challenge to find a PR firm that can adequately help a healthcare company, says Su Ngoh Lee, senior corporate communications manager at Bayer HealthCare Asia-Pacific. “It's essential that agencies can work cohesively with corporate communications executives not only to meet business needs, but to deliver exceptional results,” she adds. Thailand has faced a tumultuous last few years. Violent protests rocked the country following a military coup in 2006 that ousted Prime Minister Thaksin Shin-awatra from office. The upheaval culminated in spring 2010 with a wave of street demonstrations that led to clashes with the military and more than 90 deaths. The Thai government also came under fire last year for its bungled response to a flooding disaster that crippled the country's electronics and automotive industries and weakened foreign investor confidence. In September, more flooding drove thousands of people from their homes in northern Thailand. Such turmoil creates huge challenges for businesses in Thailand, but it also opens opportunities for PR professionals to help companies regain their footing. According to agency leaders in Thailand, the roles of PR pros have changed significantly in recent years, evolving beyond traditional services such as media relations, publicity, and events to providing expertise in areas including reputation management and CSR. For example, Ansell Healthcare, which has a manufacturing base with about 1,000 employees in Thailand, turns to agencies with local expertise for corporate citizenship and employee engagement programs, says VP for regional marketing Lennard van Soest. The rise of social and digital media, still relatively new in Thailand, has also changed the industry. Facebook is the most popular social network in Thailand, with more than 16 million users. YouTube and Web message boards are also popular, but Twitter has not caught on as much, PR executives say. Yet traditional media such as print and TV still hold the weight of influence in Thai-land, as in the rest of Asia, and PR pros devote much of their time engaging stakeholders through media relations. The Bangkok Post launched its own TV channel to keep up with the demand for TV news programs. There are more than 30 newspapers in Bangkok, and many print publications, including Thai Rath, Daily News, and Bangkok Post, have launched TV channels to compete with existing news programs. “Traditional media is still all-powerful in terms of how clients measure our success,” Henry says. The highest demand for PR is among government officials. The Thai government spent $350 million on PR services last year, while the private sector spent less than $15 million, says Nimitz Modrakee, owner of 124 Communications. Fueling the government's reliance on PR is the formation of the Association of Southeast Asian Nations Economic Community, which aims to create a free-trade zone in the region by 2015. “As the country is improving its competitiveness in the global market, the Thai government sees it's important to build stronger nation branding,” says Virayavardhana. Challenges remain, however. The search for talent is competitive, especially as the Thai economy grows and more international agencies open offices. Thailand's education system adds to the difficulties. Bilingualism is essential in the industry, but English education in Thailand is lacking compared with other Asian countries, Henry explains. Thomas van Blarcom, MD at Total Quality Public Relations Thailand, says education is more focused on memorization and regurgitation rather than creativity and problem-solving. “I don't see as much high-level creativity [in Thailand] because the education system doesn't nurture a lot of the qualities that we look for in PR and marketing,” he adds.